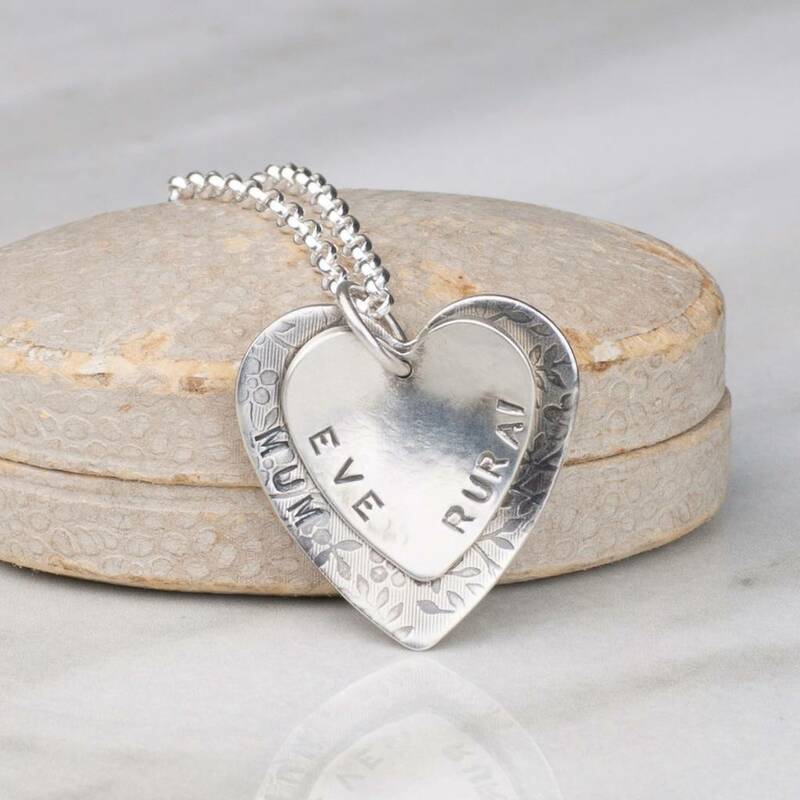 The pendant consists of two hearts which can be personalised to with the names of children, friends, brothers or sisters. I hand stamp each one using my set of vintage letter stamps. The smaller heart is domed slightly and lightly textured. 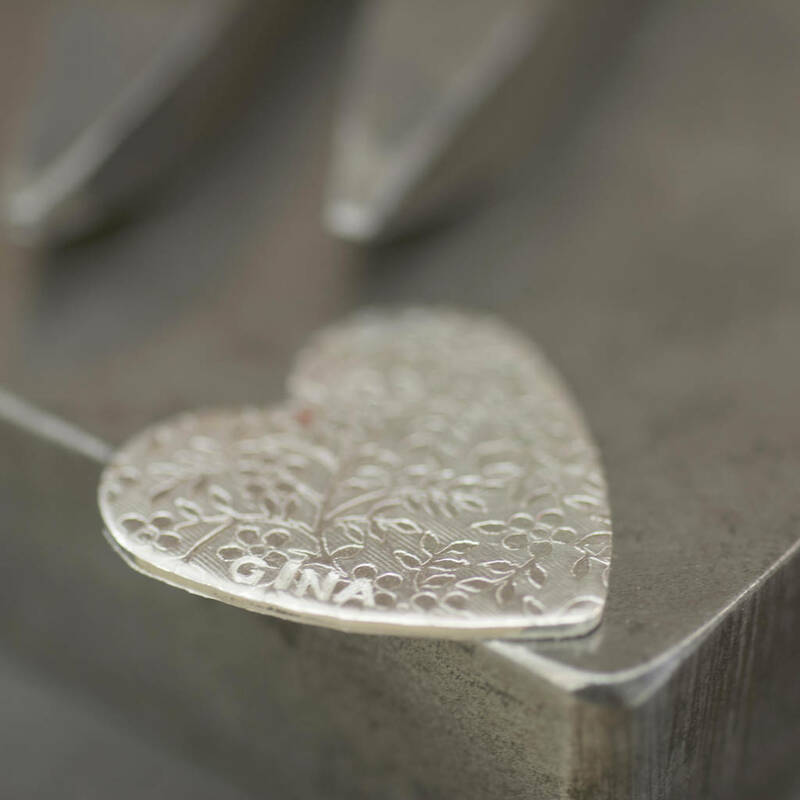 The larger heart is embossed with a Rose Garden pattern. 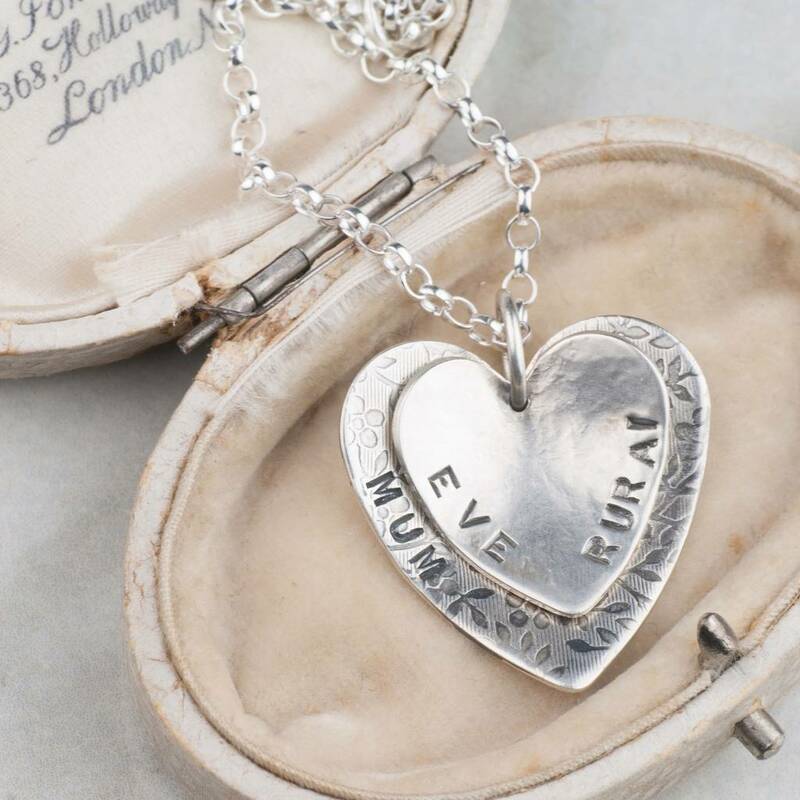 Any text can be chosen for the personalised necklace using letters A to Z in the font shown only. I can fit up to 9 letters or numbers each side of the heart. 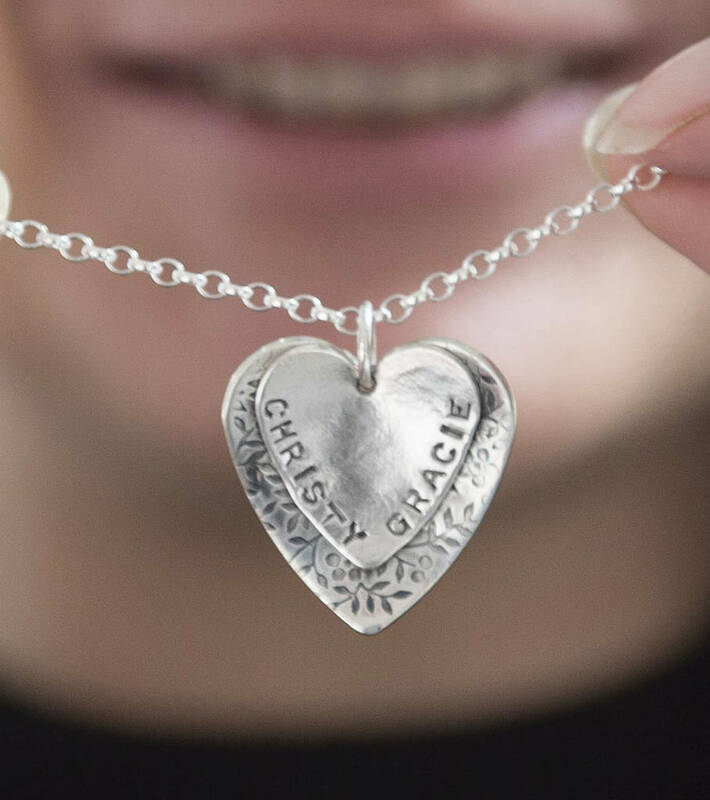 Choose to have the words stamped on either the large or small heart and on the left or right. The left and right sides are as you look at it. Please note that I hand stamp the words and therefore the letters will not be perfectly aligned, but this should add to the handmade charm of the piece. The first two names are free. Additional names are charged at £10 per name. The pendant is handmade in solid sterling silver and hangs from a silver belcher chain. Size approximately 3cm tall and 3cm wide. This product is dispatched to you by Alison Moore Designs.